Can wild hedgehogs survive with three legs? Meet Rupert. He arrived with me in 2016 as a small hoglet. He was only 300g. When I inspected him I could smell that something wasn’t right. Wildlife rescuers go a lot by smell – you get to know the smell of infection and poo that is not normal. I often know something is wrong before I see it. On closer inspection I could see that Rupert was missing half of his rear back leg and it was infected. I’ll never know what caused Rupert to lose his leg but it is possible that it was a fox or dog attack. I cared for him for several months to get him fit and healthy. As well as a stump leg, he was also full of internal parasites, like many Autumn juvenile hedgehogs. Despite intensive treatment, Rupert’s stump did not heal fully (although the infection cleared) and it opened up whenever he tried to walk any distance. It was impossible for him to return to the wild in this state. The stump would get infected and cause pain and suffering. Once he got to a good weight and parasite free, I took him for an amputation to remove the remaining stump. Rupert then had bed rest whilst he recovered from the operation and before his stitches were removed. I made sure his hutch was lined with soft fleece blankets, to reduce the risk of the wound rubbing. I also made sure that he did not walk around on any dirty surfaces until the wound was completely healed. What happened to Rupert? There are mixed views about returning three legged hedgehogs to the wild. Some say they can survive okay. They can certainly still move fast with three legs. Others say that they cannot groom properly and will be more susceptible to things like ticks or unable to clamber out of holes. So…. I had to find my personal resolution for the dilemma of whether to release him fully back to the wild or to an enclosed garden where he would be safe but will not be able to contribute towards maintaining the hedgehog population. Rupert’s wound got infected not long after his operation. After a course of antibiotics, he was eventually well enough to return to nature. Due to the amount of intensive care during his rehabilitation, I decided to release him to an enclosed garden with rabbit proof fencing. However, Rupert managed to dig his way out several times. The last I heard he was living fully wild near to where he was released and was doing fine. I have since learnt that the only way to fully prevent a hedgehog escaping is to use a secure walled garden. However, in future I would release a three legged hedgehog back to the wild. Unfortunately there are no circumstances under which a front leg amputation is ethical. It does not provide sufficient quality of life, even in captivity. I would only consider amputation for a rear leg. My work is entirely self-funded and I have to pay for operations like amputations as well as antibiotics and pain relief post operation. You can find out more about me and my work here and also how to support it. Not all hedgehogs with injured legs will require amputation. The most important thing is to get an x-ray as soon as possible to identify the problem and whether deep infection has set in. Some vets, including mine, will pin legs if it is a recent break. There can also be other causes for hedgehogs dragging legs, including ligament damage and neurological issues. Sometimes infected legs can be treated without the need for amputation. A very recent break (within a few days) could also potentially be pinned. My vet will do this but not all vets will or it can be very expensive. Building up a good relationship with a vet is essential in wildlife rescue. Without the help of my vet to perform the amputation and to treat the infection, saving Rupert would not have been possible. I think you did the right thing,and a enclosed garden where he can live out the rest of his life safely but still being able to live a relatively wild life is probably the right way to go.I am surprised that you will have to pay for the stitches to be removed,at my vet that is normally covered buy the surgery fee as post op care. I am behind you 100% with the amputation, though I am sorry the vet is charging you. My vet, while I pay for meds, offers her services free of charge as it is wildlife, but I do know that some vets do charge to perform operationss. I would certainly question being charged for the stitches to be removed though. If he were a cat or a dog, that would be covered by the fee for the op. I have Lilly, who was attacked by a dog which left her with a broken front leg. The leg was splinted, but the wound was badly infected and her foot died, so she had to have her front leg amputated. I was told by a well-known rescue that she should be put to sleep since she cannot be returned to the wild or contribute to the hedgehog population. She may not be a ‘fit-for-purpose’ hedgehog, but she is still a living animal. She survived an horrific dog attack and being shut in a shed for 2 days, so I believe she deserves a chance of life. I was made to feel that I was doing the wrong thing by Lilly, but I have received a lot of support from other rescues and not one has suggested she be euthanised. It was another rescue that convinced me that I was doing the right thing as they had a boy with a back leg missing and he was quite happy living in an enclosed garden. His stump hardened so wasn’t a problem like Rupert’s. There’s still a chance that Lilly will not fair well in a more natural environment and if I feel she does not have a good quality of life, then we will have to make the difficult decision, but like Lilly, Rupert has come a long way and he deserves a chance. Hedgehogs are amazing at adapting. Rupert is young too, so has probably lived longer without his back leg than with it. Hedgehogs need their front legs for digging to find food, so Lilly can never be released, so she will be living out her days at my home in an escape-proof garden. Rupert could possibly be released if he finds an enclosed garden too stressful. If Rupert was in my care, I would release him in the spring into an enclosed garden and see how he gets on. 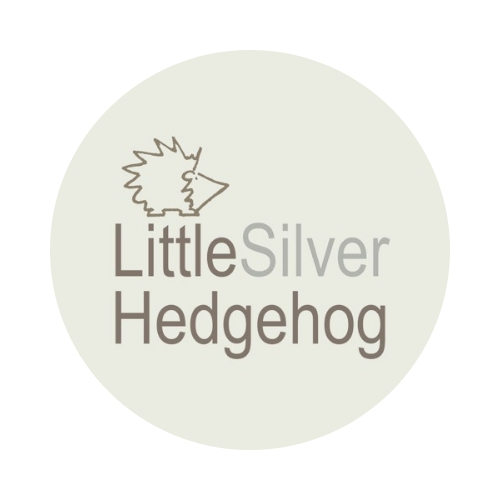 Thank you for being so caring about the hedgehogs in your care. I wish Rupert a speedy recovery. Hi Emma you’ve done really well with Rupert. In the past I have released three legged hedgehogs back to supported areas but would now only release to an enclosed garden where they can be monitored. The problems that face such amputees are not, as I see it, an inability to groom, or the ability to forage, but rather the fact that they are less able to get out of any hole they may find themselves in. Grooming is not a problem. I have footage showing one of my amputees Grooming. Let me know if you need an enclosed garden for Rupert when he is ready. Whatever you end up doing, Rupert has been given a second chance thanks to your care. As Monique pointed out, the individual hog is only going to be concerned about their own well being, not whether they will be a productive member of society! I hope all goes well for him.